When Should You Start Dog Training? 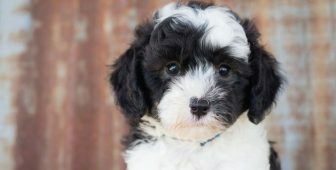 Is there an optimal time for puppy training? If so, when should you start? This article focuses on this frequently asked question. Dogs start learning new things from the second they’re born. In fact, learning and training can be both formal and informal. While the formal training can’t start immediately, the informal should start right away. You want your puppy to grow up to be a happy, confident and well-behaved dog, right? If the answer is yes, you’re wondering when the training should begin. You don’t want your new puppy to be overwhelmed right away, but you still don’t want to wait too long. When Should You Start Training Your New Puppy? The answer is – right away! Training your puppy should begin the very moment you bring him or her home with you. Namely, puppies are the most receptive somewhere between week 3 and week 12. You should take advantage of this critical period as much as possible, as this is the time when your puppy is most open to new things and can learn a lot. This is also the period when you should socialize your puppy. Socializing means introducing him or her to the world – new people, animals and sensations. This is a very important part of dog training, which can be both formal and informal. Why Should You Start Training? If you want your puppy to be well-adjusted, behaved and a good companion it’s vital that you start training your dog as soon as possible. It doesn’t mean that you should start with puppy classes the second you bring your puppy home, but rather have short training sessions in the beginning. Socialization. You want your puppy to be comfortable in the society and be well-behaved around other people and animals. Your dog should be introduced to new things, sounds and situations during the critical time for learning (3-12 weeks). In-home training. 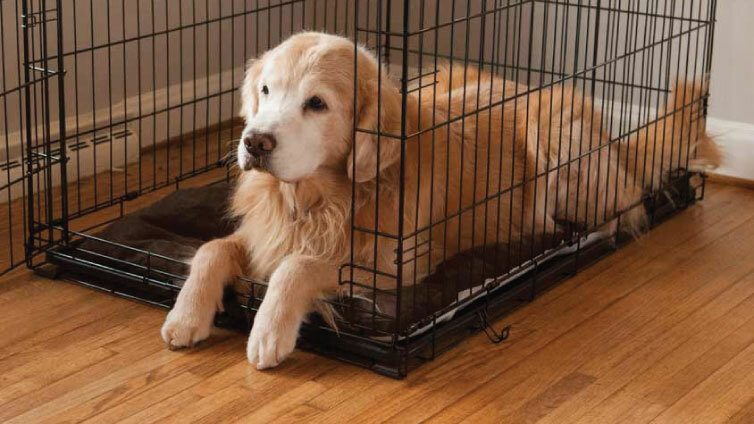 Your dog should learn how things function in your home. Where should he eat and drink water? Where to sleep? Crate-training. This is very individual and depends largely on you and the way you want to train your dog. If you feel that you should crate train your puppy, you should start introducing him or her to the crate pretty early. Housebreaking. Naturally, this is very important for dog owners as you want to teach your dog as soon as possible where to “go”. Basic commands. Every dog needs to know at least some basic commands, if you want to have control over its behavior. Some of the earliest, and most useful, commands you can teach your dog are “heel”, “stay”, “sit”, “come” etc. Check out the video below and see which 3 things are easy to teach your puppy! Now that you have the general idea of what puppy training include, you’re probably wondering Where do I start? You don’t want to overwhelm your puppy and start teaching everything at once, but you don’t want to miss the critical time for learning either. While you can start some forms of training by yourself, from the very beginning, you should wait with formal training at least a couple of weeks. Namely, it’s important that puppies get at least one deworming and one set of vaccines a week before their first puppy class. Even though their vaccination won’t be finished by the time they enter a class, it’s still important that they have started the vaccination process. So, it’s generally recommended to start socialization classes at 7-8 weeks of age. When it comes to teaching your dog house rules and basic commands, you should start immediately. Short, but effective, training sessions will go a long way. Apart from teaching your dog to behave properly, the sessions will also be an opportunity for you and your dog to bond and start building a great relationship. Some people believe that young puppies shouldn’t be exposed to any kind of puppy training. Instead, they feel that the puppy should get familiar with their home and owners during this time, in a relaxed and rule-free environment. While we agree that the environment should always be risk-free and relaxed, we don’t share the same opinion about no rules. Because this is the time when puppies form their habits and learn hoe to behave. So, if you were to allow your puppy to behave as he wish the first couple of weeks, why should it be any different later on? Isn’t is much easier to form good habits from the beginning than try to correct the bad ones later on? On top of that, if you wait too long with socializing your dog, that is after week 12, it’s highly likable that your dog will develop behavior problems and become anxious or aggressive . Socializing your puppy becomes more and more difficult after week 12 and next to impossible after week 18. On top of that, puppies are the most eager to please around week 7, which makes training them much easier than it would be later on. They want to impress you and make you like them, which is why they will do everything they can to learn something as quickly as possible. Puppies are the most formative at this age which is why you should use it. If you want the training to be as successful as possible, there are various factors that can affect the process that you should think about. Personality. Like every person, every dog has a different personality. You should definitely take this into consideration due to training, as every dog can’t be treated equally. Environment. It’s up to you create a positive environment. Try to create a risk-free environment where your dog will be able to learn new things and feel comfortable while doing it. Learning new things should be a fun, not a stressful, experience! Surrounding. Your surrounding and the people around you should be as positive as possible, which will make the training part much easier. Try to surround yourself, and your puppy, with positive people during the socialization part, as you want your dog to form positive opinions about people in general. Existing knowledge. Every puppy picks up on different things in their early days. Your puppy may already know something, while he might have missed a thing you thought was natural. So, don’t take anything for granted; observe your puppy when you take him home and see what he seems to know already. What Kind Of Training Is There? There are two basic types of training. Behavioral training. The purpose of this type of training is to prevent or correct bad habits. Some examples are chewing, jumping, begging and whining. This kind of training requires great consistency, as you dog needs to know what’s appropriate behavior. If you make an exception, even once, your dog will know that he can push the limits. Obedience training. This kind of training is based on teaching various commands. Some of the first commands you should teach your dog are “sit”, “stay”, “heel”, “come”. When your puppy has mastered them, you can teach more complex and fun commands. Both of these types can be done either by you, or by a professional in formal training classes. 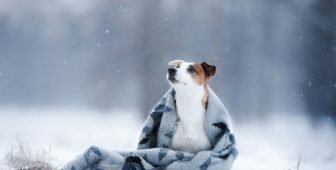 Most dog owners choose a combination of the two – they start on their own and then, when their dog has been vaccinated, enroll them in a puppy class. What you choose to do is up to you, as long as your puppy is properly trained. The answer to the question in this article is – right away! Training your puppy shouldn’t be something you put off. It should start the moment you take him or her home, if you want your dog to grow up to be a comfortable and well-behaved dog. You should start enforcing your rules right away, so your dog knows what to expect. Don’t let him behave one way in the beginning, only to change the rules later. This will cause confusion and your dog won’t understand why that kind of behavior isn’t acceptable anymore. Be clear about the house rules and stick to them – your dog will appreciate it! However, formal puppy classes shouldn’t start before your puppy has been through the first set of vaccines and a deworming. A week or so after that, you can enroll your dog in formal classes – if that’s what you want. This is usually around the age of 7-8 weeks. Once again – don’t wait! Start training your puppy the very first day, gradually but consistently. It will be great both for your dog’s behavior and your relationship!